Companies in all industries can benefit from using smart glasses to enhance employee productivity. Everyone loves reading about how to be more productive. Do some digging on the web and you’ll find thousands of pages of articles loaded with actionable tips. Whether it’s waking up two hours early, taking care of emails first, learning how to say no, or becoming better at prioritizing. We’ve all tried to implement ways to make ourselves or our teams more productive at some point in time. But guess what? In 2107, optimizing productivity is becoming more technical. You don’t need to quit your yoga class, stop setting your alarm early, stop providing breaks at work or remove the ergonomic office furniture. But mixing up more traditional ways of being productive with cutting-edge technology can help optimize every aspect of your business, from supply chain to retail. Let’s take a closer look. Vuzix is a leading developer of smart glasses and wearable computing devices, which offer workers hands-free access to relevant information and data. Its M100 smart glasses are the world’s first commercially available eyewear systems that essentially work as wearable, Android-based computers. According to the Vuzix website, here’s how smart glasses can make businesses more productive. One of the greatest selling points of smart glasses is that they’re compatible with Android apps. This means that people providing telemedicine, remote assistance, warehousing or manufacturing services can get real-time access to the information they need to get their jobs done faster. The technology streamlines workflow processes by relieving workers of the need to stop what they’re doing to consult smartphones or tablets. With smart glasses, for example, workers could scan bar codes by simply looking at them, allowing them to complete warehouse orders quickly. Serving customers, carrying out orders, assembling parts and recalling pertinent data can all be done in an instant, and employees will still have full control of both hands. They can still operate machinery safely, carry out instructions or load-produce without having to hold up workflow. Taking Vuzix's M100 system as an example, smart glasses allow you to communicate with your workforce more effectively and provide all the features and capabilities of a modern smartphone in a hands-free, wearable device. They even include a high-definition camera that can take still shots and record video that can be streamed live. Just consider the importance of this for first responders. They can transmit what they’re seeing at the scene and receive invaluable commands from doctors and surgeons about how to treat and save a patient. Live streaming also works well when your workers are in hard-to-reach places, or out visiting a client site. When your IT staff come across a systems error that they’re unfamiliar with, a common procedure may be to escalate the problem to the next level, or book an appointment to return to fix it. But with live streaming, your workers can get the expert support they need to get the problem fixed the first time around. Smart glasses can also provide them with 3D images containing the information they need to repair a system directly on the client’s site, or a machine on a factory floor. Companies in all industries can benefit from using smart glasses to enhance their employee productivity. New employees to your business can watch training videos and interact with them in a hands-free way. They can take notes and participate in exercises in real time. Healthcare workers can literally learn on the job and carry out maneuvers, such as first aid and CPR, while following instructions. This is practical, hands-on training at its best. Even white collar workers can benefit from smart glasses. They can use their hands to design, take notes and carry out exercises while watching your training video undistracted. Their focus is 100 percent on the material, which means that training sessions can be carried out faster with a higher level of engagement. With integrated GPS, a compass system and gyroscope, you can detect the wearer’s location. Smart glass also allow for the direction and angle of the current view to be shared, which makes for highly accurate environmental awareness. This can be potentially lifesaving for first attenders and can give an audio-visual view of the surroundings your workers are in, rather than having to rely on a voice description. 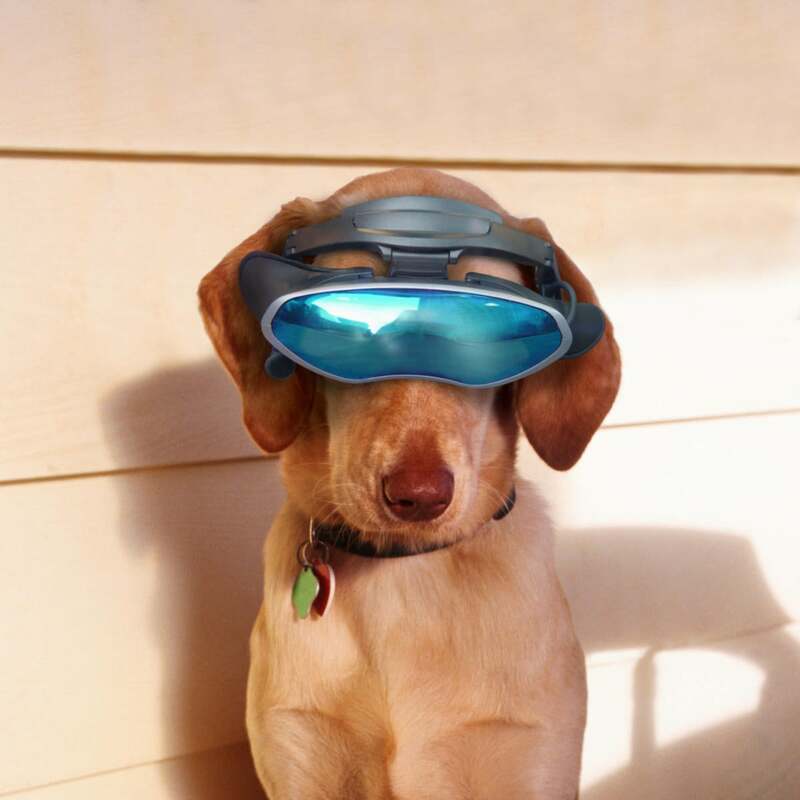 smart glasses have been designed to work in almost any environment, including freezing cold or humid temperatures. In a 2014 Fortune article, analysts called wearable systems an important technology for the future. A few short years later, smart glasses are already becoming widely used, making people more productive across industry verticals and roles. The technology of the future is here today and it’s helping increase your bottom line.